It's finally starting to feel like fall here in NYC which translates to layers, pumpkin-spice everything and some changes in our skin and beauty routine. Personally, I've always suffered with overly dry skin in the winter months and it doesn't help that I've just spent the past summer months baking under the sun. When our skin is over-exposed to UV rays it tends to produce more melanin. And while we all looove our tans in the summertime, this has been proven to be one of the main causes for premature aging. Good news! 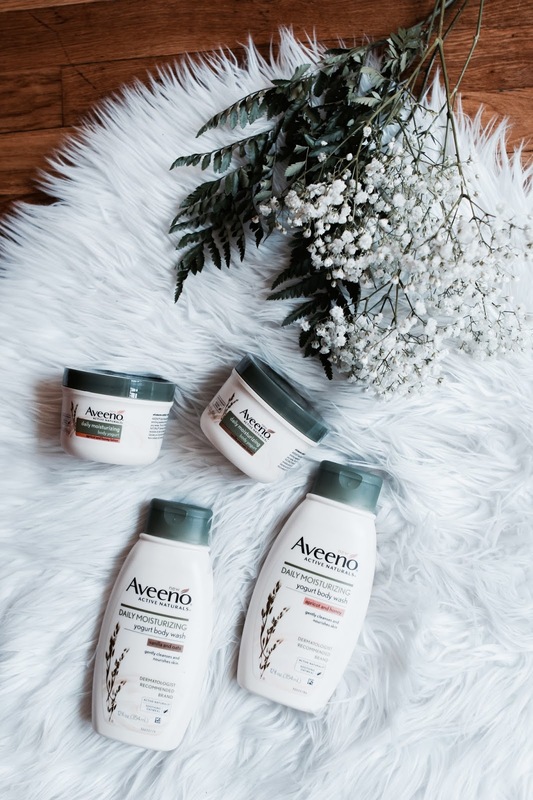 If you've been having way too much fun under the sun this past season, Aveeno has just the thing for you. Their brand new Daily Moisturizing Body Yogurts and Washes can help saturate the body with nourish moisture, preventing the previously mentioned pre-mature aging and conditioning your skin during the harsh winter months. Available in Vanila & Oat and Apricot & Honey starting this October, these body care must-haves contain the essential vitamins, lactose, proteins, lactic acids and lipids found yogurt to provide your skin with a rich, nourishing experience. I've always sworn by Aveeno's daily moisturizing lotion but I must say, the yogurt component in this new product definitely marks a difference as the formulation is much richer and leaves the skin hydrated for 48 hours; while the creamy body wash is formulated with patented Natrasurf® technology to gently cleanse your body without over-stripping or damaging the skin. So if you, like myself, struggle with hyper-dryness in the fall/winter time, make sure you stock up on these goodies starting next month at national food, drug and mass merchandisers! Wow great to hear ! Can't wait to try them ! 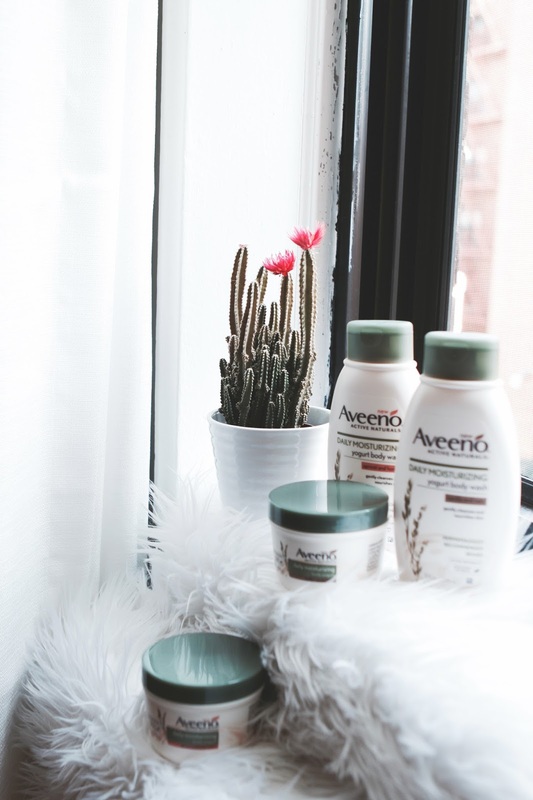 I adore Aveeno! I especially love their makeup remover wipes. I haven't checked those out! Next on my list. These ones look very good and I have heard really nice things about them! Too bad I can;t find them in Greece, but next time I travel I will search for these! So worth it! Definitely check them out when you're in the states. Love this brand! Nice pictures! Thanks Claire, they have a great skincare line! Love these photos! I definitely need to update my skincare routine for fall.